Rahul Gandhi had tweeted yesterday that he would visit Mandsaur to meet the families of the five farmers killed in police firing. The ruling BJP has accused him of exploiting the protests for political gain. Rahul Gandhi's convoy stopped near Mandsaur, where 5 were killed in firing in farmers' protest. Rahul Gandhi was briefly arrested today as he tried to go to Madhya Pradesh's Mandsaur, the epicenter of violent farmer protests that have escalated over the death of five in police firing on Tuesday. The Congress Vice President's attempts to defy police barricades turned into a wild steeplechase as he swapped his car for a bike, then hopped on to another bike, and finally set out on foot through fields before he was taken to a guest house that served as a makeshift jail. 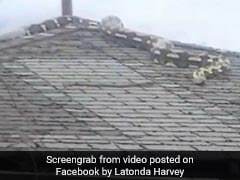 He was released four hours later. "Rahul Gandhi tried to break all security provisions which is wrong. It doesn't suit a national party leader to ride a bike without helmet like a college student," said Madhya Pradesh Home Minister Bhupendra Singh. The police had said this morning they would not allow Mr Gandhi and other Congress leaders to enter Mandsaur, where a large group of farmers are on a protest to demand better prices for their crop and loan waivers. Mr Gandhi had tweeted yesterday that he wanted to meet the families of the five farmers killed in police firing. He finally spoke to them on the phone, while in custody. The ruling BJP has accused him of exploiting the protests for political gain. 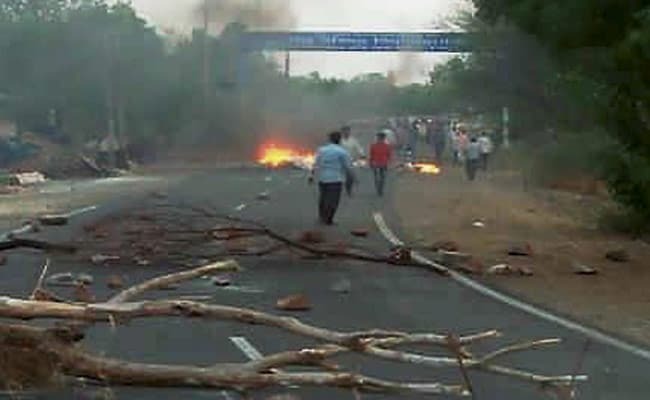 Madhya Pradesh's Mandsaur is tense after farmers' protest and a round-the-clock curfew is in force. "Modi waived money for the elite but he cannot waive farmer loans. He can only give goli to farmers," Mr Gandhi told reporters tracking his journey to Madhya Pradesh, a state that has voted the BJP since 2003 and where assembly polls are due next year. This morning, Mr Gandhi flew to Rajasthan's Udaipur and then drove in a convoy towards Mandsaur, around 180 km away. When his car was stopped near the border, the Congress leader was seen jumping on to a bike in the crush of security personnel, Congress workers, journalists and policemen. 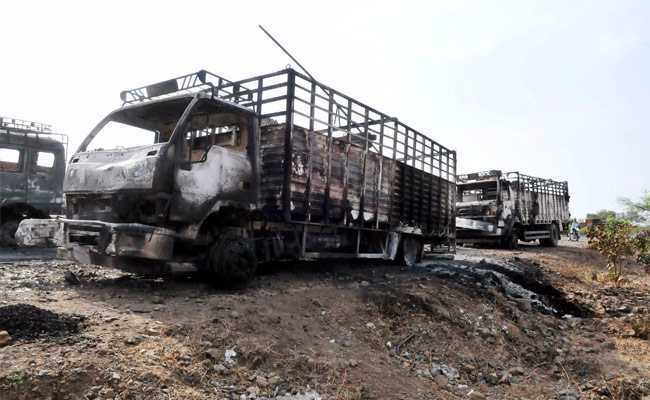 Farmers' protest: Trucks torched at Mhow-Neemuch Highway in Madhya Pradesh's Mandsaur. Around 3 km from the border, the Congress leaders were stopped again. Mr Gandhi got off the bike and started a brisk walk, ring-fenced by the Special Protection Group. He was seen in visuals in a fight with senior police officer Rakesh Gupta. Mr Gandhi and his retinue continued to walk through nearby fields, the crowd stepping over the fallen police barricades. The 46-year-old targeted the BJP governments of both states in his tweets. What law of the land says that it is illegal to stand in solidarity with farmers who were killed simply for demanding what is their right? Tension peaked on Tuesday as protesters threw rocks and vandalized vehicles, after which the police allegedly opened fire at a crowd. The government confirmed today that the death of five farmers was because of police firing, after denying it earlier. Chief Minister Shivraj Singh Chouhan posted an appeal on Facebook: "Discussions can solve the issue but some are trying to politicise it, will not spare them." Mr Gandhi, the Congress' number two leader, is set to take over as party president by October. His plan to travel to riot-hit Saharanpur in UP last month sparked a similar row as the new Yogi Adityanath-led BJP government denied him permission for the visit.